Sterile amber vials protect light-sensitive drugs. 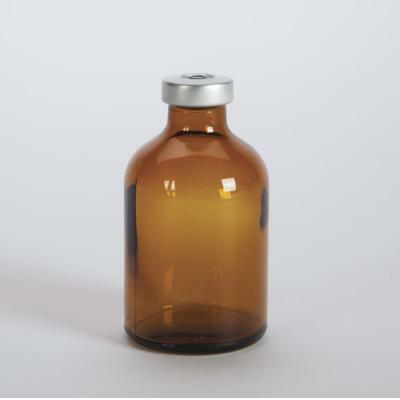 Type 1, USP, borosilicate glass vials are dry-heat sterilised. A smart choice for USP <797> compliance! Six sizes (2mL, 5mL, 10mL, 30mL, 50mL and 100mL) provide variety to meet a range of medication preparation demands. 2mL vials have 13mm silver caps, all other sizes have 20mm silver caps.